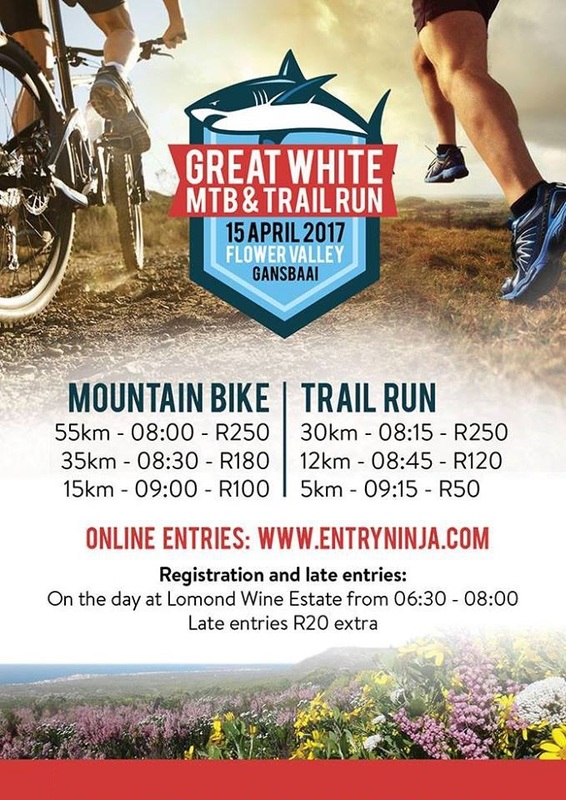 Please complete the form below and your enquiry will be sent directly to Great White MTB & Trail Run via email. 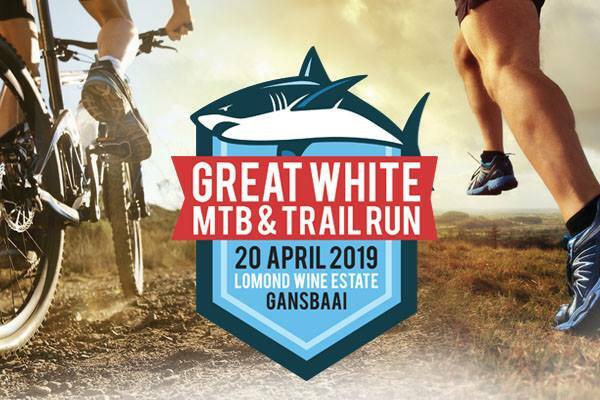 Your enquiry has been sent to Great White MTB & Trail Run. Come and explore the magnificent Walker Bay Fynbos Conservancy trails - an opportunity to traverse through the privately owned paradise. Choose between 3 Mountain Bike - and 3 Trail Run options. The event will be hosted on Easter Saturday - so make a weekend of it and enjoy the Overberg coastline shore where the Great Whites swim. Click on 'More Info' below for more information. Online entries close on 17 April 2019. Friday 19 April from 17:00 - 19:00 at Lomond Wine Estate. For accommodation options contact Gansbaai Tourism or click here.